Posted November 14th, 2016 by Sarah Hill & filed under Uncategorised. There’s Always A ‘First’ For Everything! Posted November 4th, 2016 by Sarah Hill & filed under Uncategorised. An Amazing Literary Award For The Whimsy Wood Series ! Posted October 27th, 2016 by Sarah Hill & filed under Uncategorised. 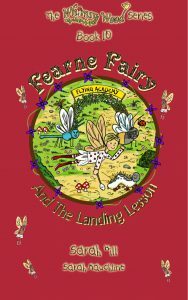 What Happens After A ‘Whimsy Wood’ Book Is Launched ? Posted September 30th, 2016 by Sarah Hill & filed under Uncategorised. Posted September 22nd, 2016 by Sarah Hill & filed under Uncategorised. Posted September 9th, 2016 by Sarah Hill & filed under Uncategorised. Posted September 2nd, 2016 by Sarah Hill & filed under Uncategorised.